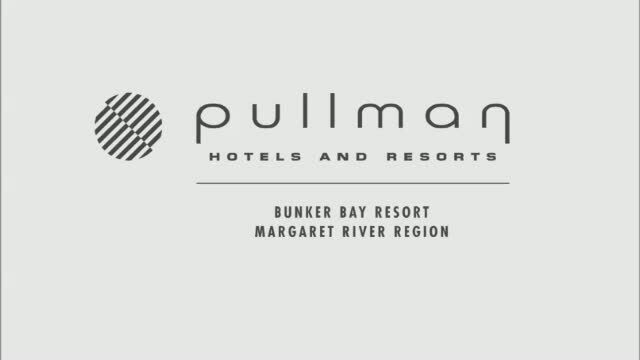 When you arrive at Pullman Bunker Bay the first thing that greets you is the intoxicating salty scent of the Indian Ocean with hints of Australian eucalypt and wattle. The second is the jaw-dropping vistas of Bunker Bay from the resort’s reception and terrace. One of the Margaret River Wine Region’s best kept secrets, Bunker Bay offers a blend of proximity – the resort is an easy 3 hour drive south of Perth - complemented by a pristine beachfront location. For couples seeking romantic moments over a bottle of award-winning Shiraz or a family looking for quality time and adventure, it is an ideal choice. Distinctly West Australian, the resort spans 35 acres of landscaped native gardens that meet the shoreline. Kangaroo Paws and other wildflowers flourish in the gardens, while inside locally sourced materials are used extensively. Limestone and slate are complemented by warm karri and jarrah, while softer touches echo the bush/beach palette of sand, stone and gum-tree green. Luxuriously appointed, each Studio, One and Two-bedroom villa harmonises with the environment; corrugated iron rooves meet stone walls and timber decking, while natural bush gardens afford total privacy. Modern guestroom amenities are complemented by generous bathrooms, indulgent bath tubs and floor to ceiling windows that open to take advantage of the sea breeze. Tranquil boardwalks lure you to Bunker Bay’s white sands and azure waters. Ocean-view restaurant and bar – Other Side of the Moon - is aptly named after a famous nearby surf break. Whether you dine on the terrace surrounded by young olive trees, or underneath the elegant light feature designed to imitate the lapping waters of the bay, it is a wonderful place to relax. The menus proudly feature local produce, from Margaret River venison to fragrant local Manjimup truffle, and the wine list is a who’s who of local wineries for which the region is famous. Sumptuous buffet breakfasts include complimentary local sparkling wine so you can sip and soak up the outstanding views. The on-site award-winning Vie Spa offers six luxury spa suites and two double rooms for romantic shared experiences. Choose from a uniquely Australian treatment menu featuring pure, organic ingredients such as indigenous native clay, Blue Cypress and the healing power of White Flannel Flower. Other world class recreation facilities include a heated infinity-edge swimming pool, tennis courts, gym and BBQ picnic area, plus seasonal kid’s club and free weekly recreational activities including yoga and wine tastings. All villas enjoy direct beach access to Bunker Bay via tranquil boardwalks throughout the resort. The resort is located 14 minutes drive from the town of Dunsborough. Spacious open plan room with combined bedroom and living area, king-size bed, polished floorboards and limestone feature walls, marble en-suite bathroom with deep soaking bath and shower, cooktop, microwave, private furnished terrace with garden views. 2 bedroom villas feature cathedral ceilings, limestone feature walls timber, floors kitchen, 2 bathrooms lounge and dining area, laundry and private terrace with garden views. Main bedroom with king bed and 2nd bedroom with a king or 2 single beds. BOOK ONLINE or call +61 8 9756 9100. For reservations, BOOK ONLINE or call +61 8 9756 9100. *Package is subject to availability, excluding special event dates. Minimum 2-night stay required. Package cannot be combined with any other promotion, offer or discount. 10% discount excludes alcoholic drinks and is only available at the resort's restaurant and bar (excludes mini-bar and room service). 10% discount cannot be combined with the Accor Plus discount or any other dining discount program. Full amount of stay is payable in advance by credit card at booking time. The amount due is not refundable even if the booking is cancelled or modified.